The fully digital Mission Data Unit (MDU), the part of each payload that generates the signals, will provide both more power and more flexibility. The new payloads will build on the features of the current 70-percent digital payloads—including an advanced modular design, atomic clock timing systems. Going all-digital, however, will enable the reprogramming of signals and transmissions while the satellite is on orbit. This will make it easier for system managers to incorporate technical advances over the life of the satellites and adapt to challenges as the competition for military advantage in space continues to heat up. The MDU will also enable a smooth transition to the developing GPS OCX ground control segment, Harris said in a statement. The company said it would seamlessly port its digital signal design minimizing both integration risks and associated costs. 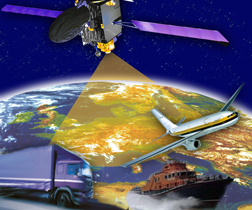 The first GPS IIIF satellite, SV11, is expected to be available for launch in 2026.